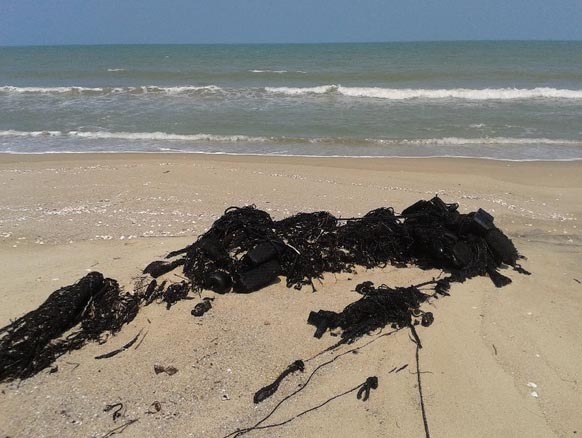 The authorities have launched inquiry to reports that oil slicks have been spotted near the popular tourist island of Koh Samui in southern Thailand. Mr. Sermpong Poonsawat, a local businessman in Chaweng Beach on the island, said he has received complaints from many tourists they have encountered thick oil residue after they waded into the sea off Chaweng Beach. Local business groups had to jointly mobilise their staff and clean the oil slick from the beach in order to prevent any damage to the beach, Mr. Sermpong said. He insisted that the oil slick is different to the commonly found residue of petrol used by fishing boats in the Gulf of Thailand, and called for the authorities to investigate the matter. 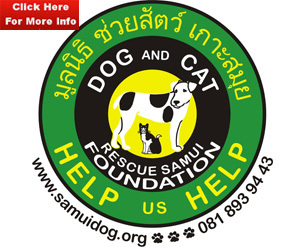 “If this kind of incident happens again, tourist businesses in Samui will be certainly affected”, Mr. Sermpong warned. Mr. Charoen To-Itae, a resident in Baan Nai Tung community, also told our correspondent the oil slick has been seen on the 2-3 kilometre stretch of beach in Nai Tung for days now, causing black dots along the sandy shore as the oil began to sink into the beach. 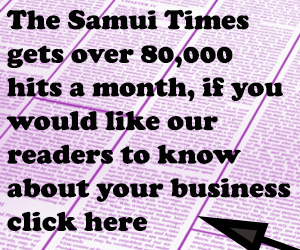 The news has reminded many anxious residents and business owners in Samui of the oil spill crisis in Ranong province late last year, in which tons of oil slick had blackened the sands of Koh Samet island – a famous tourist destination – and caused massive economic as well as environmental damages to the area. The reports also coincides with discoveries of dead dolphins along the coast of the nearby Nakhon Si Thammarat province. The latest case of dead dolphin – a full-grown, 2-metre long creature – was found yesterday at Son Sri Beach in Si Chon district. Mr. Santi Nilwat, director of the Maritime Resource Research Centre based in Songkhla province, said 4 dead dolphins were discovered in Nakhon Si Thammarat in the past week alone. All the dolphins bore no visible injuries, Mr. Santi said, which may indicate that they had been killed by the suspected oil slick, but he stressed that further lab tests were needed to identify the clear cause of deaths. Mr. Pitak Baripit, Si Chon district director, assured the public that scientists from Walailak University have already retrieved samples of the seawater and the oil slick for scientific investigation. He expected the team will take 1 week to determine the type of the oil, and whether the substance will cause any damage to the ecology in the sea. “Officials have been arriving to investigate [the oil slick] every day,” Mr. Pitak said, but expressed his concern that no state agency has yet volunteered to take responsibility for the budget of cleaning the oil residue along the shore. Local residents, however, complained that their patience is running out. Mr. Abhichit Permpanit, a fisherman who makes the living off the coast in Nakhon Si Thammarat, said he is deeply concerned by the news of the dead dolphins, as it might be evidence of another case of serious oil spill. In the incident of Koh Samet oill spill, the disaster was caused by an underwater faulty pipeline operated by the PTT Global Chemical Company, a state-owned petroleum giant. Many residents said they feared a similar accident might have occurred either on an oil rig or cargo ship in the sea around Koh Samui. Some also voiced their exasperation at the authorities’ alleged slow response. Mr. Charoen, the resident in Baan Nai Tung, officials did not respond to the reports until several days have passed, leading him to accuse the authorities of incompetence and carelessness. “The state authorities and the private sector have been actively working to push for big projects like the oil drilling platform in the province,” Mr. Charoen complained, “The people have always opposed these projects, because we don’t believe there would be adequate measures of inspection and containment of any environmental effects”. Seafood from the oil spill affected area being tested.